A wax figure of singer Rihanna was unveiled at New York City's Sacred Tattoo NYC shop on July 11. The full-size wax figure of the international pop star will take up permanent residence at Madame Tussauds New York in Times Square. Welsh actress and Red 2 cast member Catherine Zeta-Jones poses at the film's premiere in Los Angeles, California on July 11. The movie opens in the US on July 19. Cast member Bruce Willis, who plays Frank Moses in the film, arrived with his wife Emma Heming for the premiere of Red 2. Dame Helen Mirren, who also stars in the film, dazzles on the red carpet in her green gown and sparkling jewels. 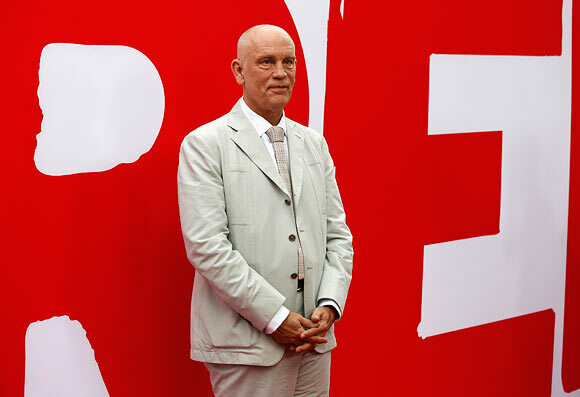 Veteran actor John Malkovich was also at the premiere. 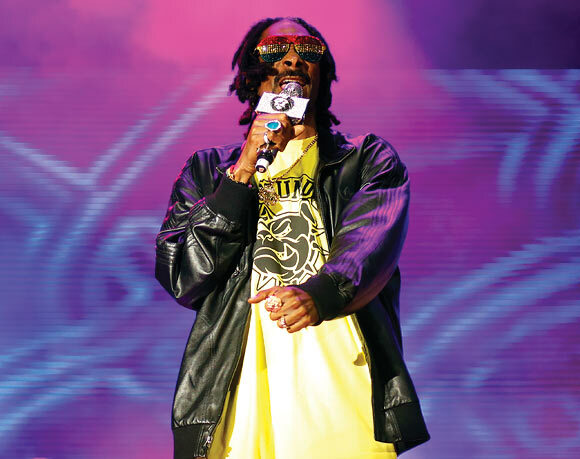 Rapper and record producer Snoop Lion, formerly known as Snoop Dogg, performs during the 13th EXIT music festival at Petrovaradin Fortress, in the Serbian city of Novi Sad. 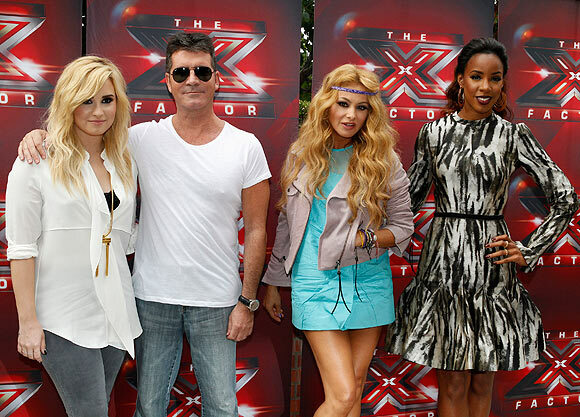 Singer Demi Lovato, producer Simon Cowell, singer Paulina Rubio and singer Kelly Rowland -- judges for the upcoming season of the Fox television network reality series The X Factor --- pose during a photo opportunity in Los Angeles. Review: Pacific Rim is big-scale awesomeness!